This cute cosy cottage is set in a quiet private garden. Though small, it is fully self contained, very sunny and comfortable. Enjoy a relaxing drink on the patio. There is under cover space for bikes. Walk the short distance down to the lake for a swim, or walk 15 minutes along the lake into town. Local shops include a takeaway, dairy, restaurant and bar. Taupo attractions are all within easy reach. Only one off street park available. We lived in the cottage for 5 years before building. We now live at the front of the garden. Very quiet, comfortable, and close to Lake and all amenities. Thank you Hazel and Frank. We had a wonderful stay in your little cottage. The beds were comfortable, utilities all clean and you were friendly wherever we had any questions. Being a 5 minute walk down to the breach was a delightful surprise and we spent a number of mornings and afternoons in the beautiful Lake Taupo. It was a pleasure having you and your mother Colin and so pleased you achieved your objective during your stay in Taupo. Thank you for choosing our wee BookaBach cottage. Our hosts went out of their way to make us feel comfortable but unfortunately the musty smell, poor wifi and needed updates took away from overall enjoyment. Sorry you didn't enjoy your 2 days with us. It was a shame the weather wasn't better for you. We are currently trying to rectify the wifi problem, so thank you for expressing your concern during your stay..
Hazel and Frank were great hosts with lots of good recommendations, they had lots of time for us and were really friendly and welcoming and even brought our washing in for us when we were out and it rained! About a half hour walk to town along the lake front. We had a great time and would definitely recommend staying here! Thanks again! Jenn and her family were excellent occupants. They were very friendly, quiet and left the property clean and tidy. Am sure they enjoyed their stay in Taupo. We would definitely recommend them to any future BAB owner. The beds were very comfortable and all facilities were available. The beds were very comfortable and all facilities were available. We would recommend a concrete pathway be put in as the walk from the carpark to the cottage is up a grassy rise and was very slippery for the able bodied persons in our group and more so for our mother who was on crutches. The advertisement should make mention of this and also include the fact that there are steps down to the bathroom and main bedroom which was not easy to use for our mother. Great place to for us (2 adults, 2 children) to stay for IronMan week. Great place to for us (2 adults, 2 children) to stay for IronMan week. Easy access into the town center. A short stroll down to the waterfront. Nice and quiet with all the household amenities we required. 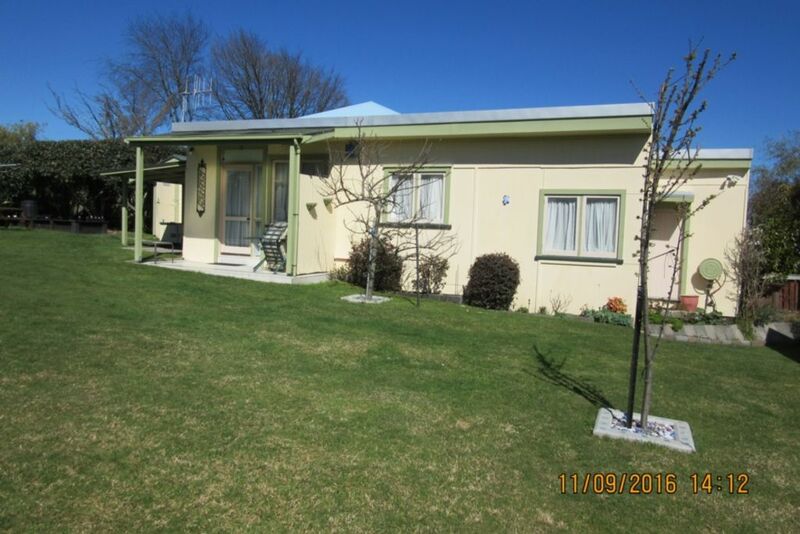 The property was in an ideal position, close to the lake and about 1/2 walk to the shops.